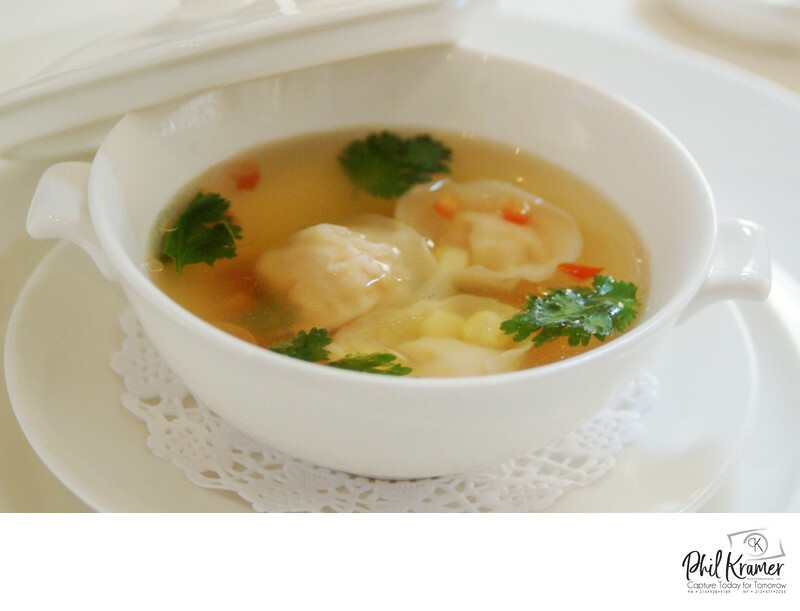 Appetizer food photography, such as Chinese Wonton Soup, typically arrives to the table in small portions. Appetizer photography is small and simple because it is food prepared to hold a table over before the main entrée. When photographing this, I wanted to keep the Chinese wonton dumplings aligned with the green leaves, and approach the dish on an angle that captures all of its qualities.